The gold-painted shipping container, equipped with immersive audiovisual technology and curated for conversations and collaborations with portal users from Iraq to Honduras to Manhattan, will be located just outside Olin Library from August to November. Users can have spontaneous conversations with people through the portal, and classes, groups and individuals can sign up to use the portal for projects or assignments for global learning. Cornell's Center for Teaching Innovation can help faculty prepare class programming in advance. 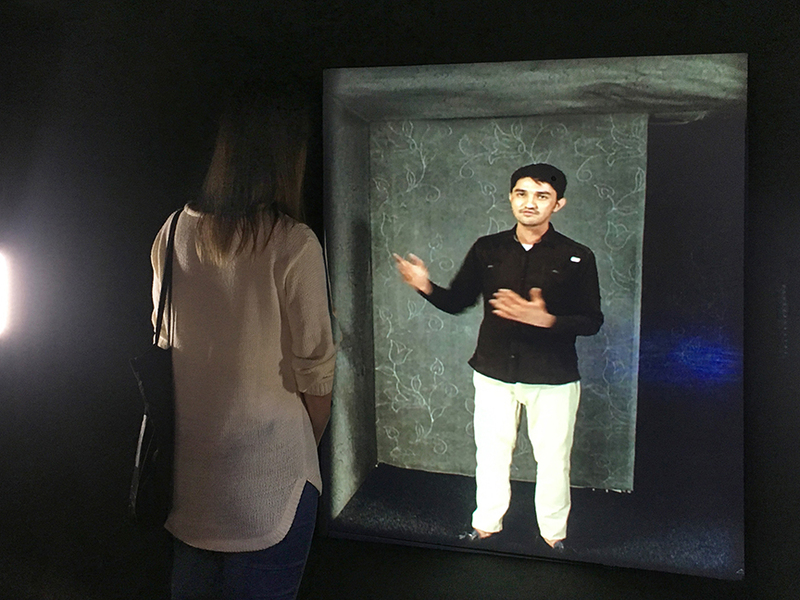 Part of a global public art initiative, portals around the world are bringing people face-to-face with others from different continents and life circumstances. Portals have been installed in numerous locations, including Afghanistan, Honduras, Germany, India, South Korea, Palestine, Myanmar, Kenya, Rwanda, Iraq, Kazakhstan, Spain, Cuba, United Kingdom, and major cities in the United States. Each portal around the globe has a portal curator who will help start the conversation. Portal curators speak English as well as the local language and can act as translators when needed. The portal experience on campus is being coordinated by Cornell University Library and sponsored by the Office of the Vice Provost for International Affairs and the Office of Engagement Initiatives. For more information, check the project FAQs or email portal@cornell.edu.